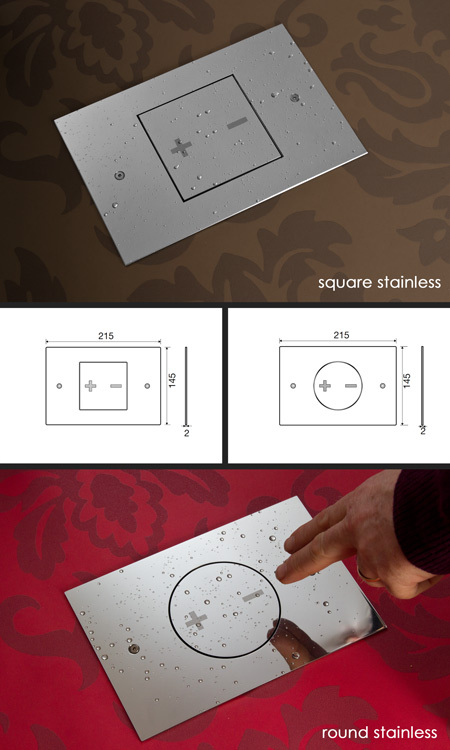 Manufactured in very high quality stainless steel these mechanical flush plates gives a luxury finishing touch to bathroom interiors. Available with a round or square flush button which is dual and single flush and the stainless has a polished finish. * Round or square design.